Skulduggery (Verschlagenheit) inkl. 0% MwSt. 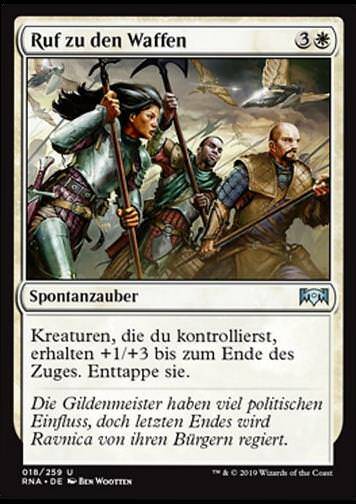 Regeltext: Until end of turn, target creature you control gets +1/+1 and target creature an opponent controls gets -1/-1. 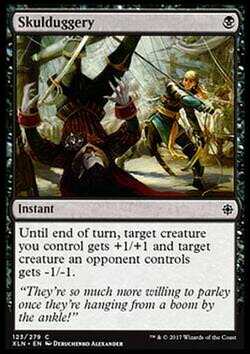 Flavourtext: ""They're so much more willing to parley once they're hanging from a boom by the ankle!""